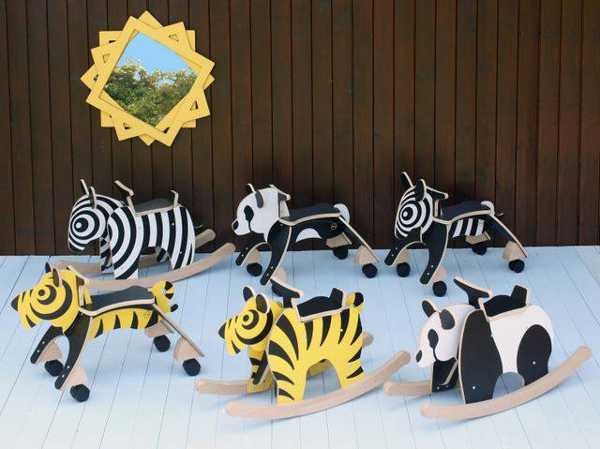 Look what's new in the New Makers zoo - more animal rockers and rollers! Look what’s new in the New Makers zoo – more animal rockers and rollers! Come and meet the latest creatures to join this ever-growing rocker menagerie. We introduced you to the rather hypnotic New Makers rocking zebra about a year ago and the response was overwhelming! Prompting New Makers to add some more colourful characters to their rather rocking zoo! 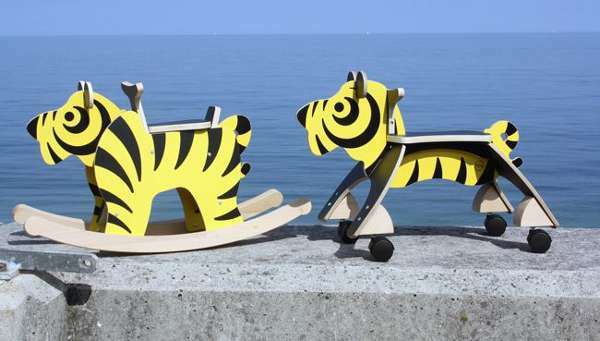 They’ve now introduced a panda and tiger to the mix, and both can be purchased as either a rocker or roller. 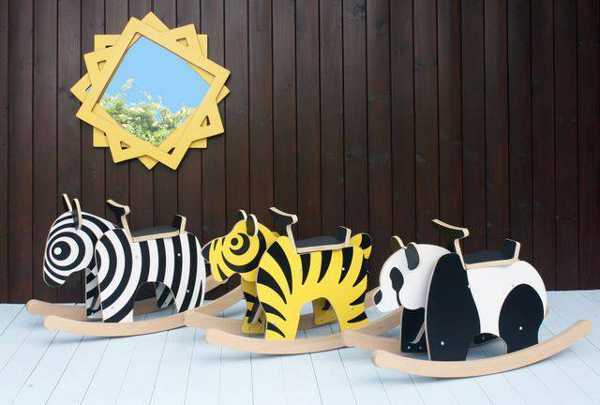 The panda and tiger rockers are £99 each, and the rolling version is £69. Shipping to Australia is available, and is very reasonable.